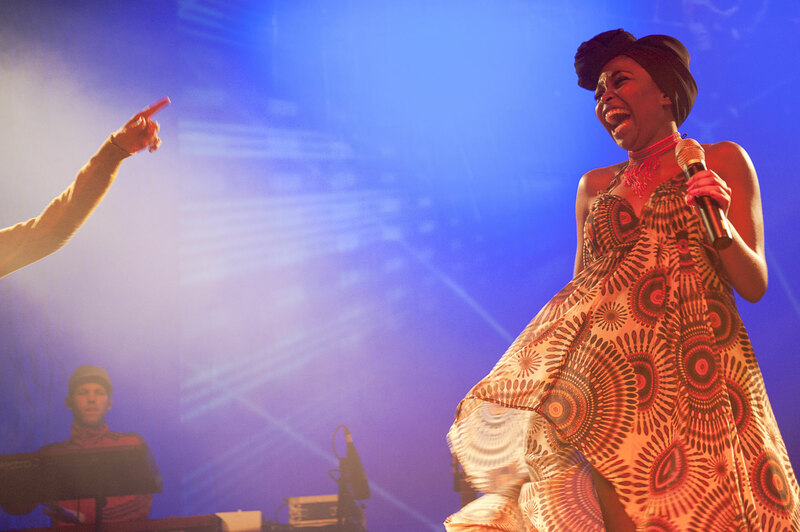 The soul of Mama Africa meets the fire of Motown and Soul in pint-sized packet of dynamite. Music critics have tipped the singer for being the next big thing to come out of South Africa with the qualities of a world star. 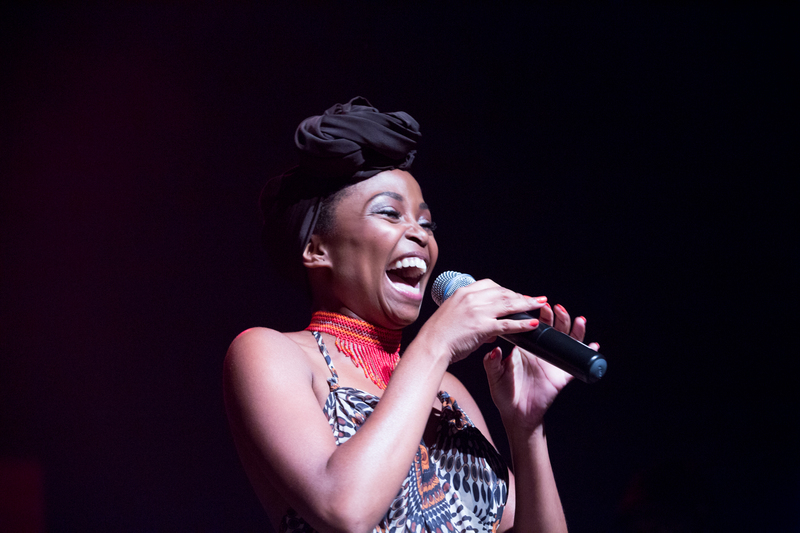 Nomfusi's life story was described in Rolling Stone South Africa as "the sort of story Hollywood is bound to snap up." She was born in the township of KwaZhakele in the Eastern Cape. Her single mother raised her while her father languished in jail for 21 years. A domestic worker by day, Kwazibani was a sangoma (African medicine woman) with a gift for music. Nomfusi would accompany her mother to the weekly sangoma rituals ("Intlombe") where Nomfusi would develop her musicality by dancing and singing for hours. Not one to just stand behind a microphone and sing, the self-taught singer and songwriter has become well known for her untamed stage performances all over the world. 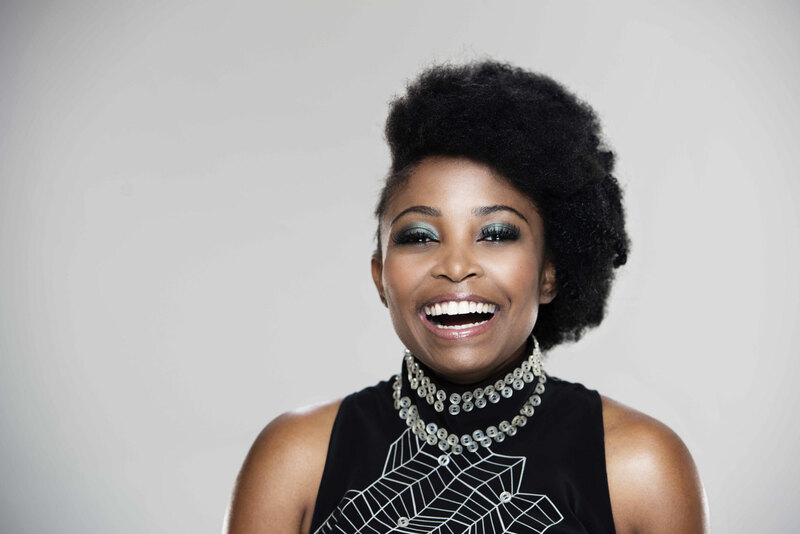 After a mere six years in the industry, Afro-soul star Nomfusi has become one of South Africa’s most sought-after export products with over twenty international tours under her belt. The SAMA nominated singer, who is based in Johannesburg was counted under the top ten rising stars on ETV Showbiz Report in South Africa. 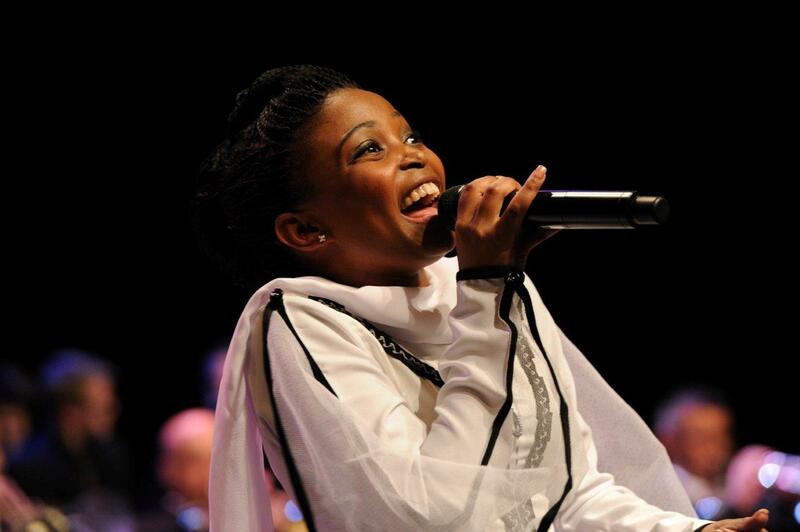 With a gigantic voice and tons of charm there is nothing small about the petite songstress Nomfusi. With sheer will and determination she has risenfrom the squalor of South African squatter camps to glistening on the stages of the world. The Sama and Metro FM nomine is now ready to take on the international market by storm. Chris Blackwell, founder of Island Records, calls her "a terrific young artist" and Rolling Stone Magazine describes her as exuding "a deep sensuality and social expansiveness." Through Nomfusi's triumphant spirit and inner strength, she has inspired many young people by teaching life skills workshops at schools affected by poverty as well as Aids orphanages accross Southern Africa. Sharing her life story through songs like "Nontsokolo" ("I am poverty") and "Kwazibani" (an uplifting song that celebrates the life of her late mother who died of HIV/Aids ) she teaches self-love and encourages African women to redefine their perception of beauty. Leaving a trail of stardust where usually you will only find the dust of abandoned dreams Nomfusi personifies the impossible made possible. 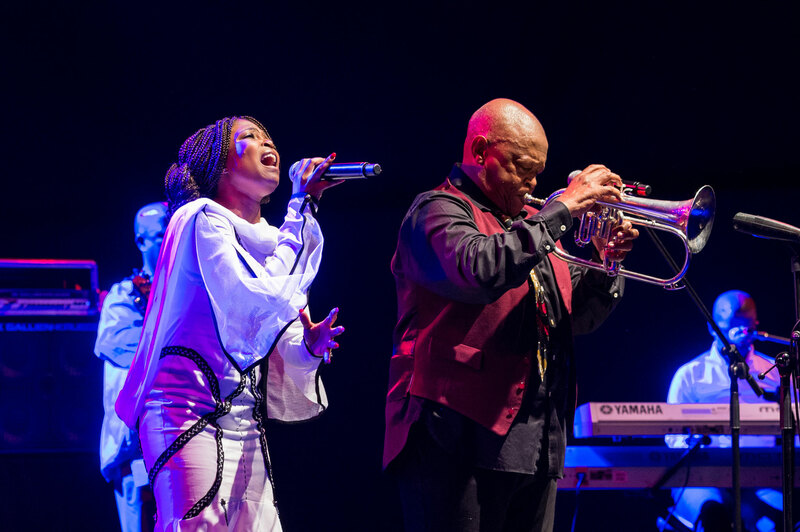 In January 2019 the Soul Sensation from South Africa NOMFUSI is getting ready for the upcoming season with not only a new program back to her musical roots, but also with an incredible band: the musicians of the legendary Hugh Masekela - Cameron Ward (guitar), Lee-Roy (drums), Randall Skippers (keyboard). This union of the very best South African musicians is a promising act, reviving the spirit and soul of Sophiatown sound! Line Up with the musicians of Hugh Masekela Band on request!